This quilt! I am so thrilled with how this quilt has turned out, and I have gained so much confidence when it comes to sewing those curves. I am glad that I have persevered with sewing curves and worked towards a method that works well for me. Even if that means using no pins and trimming the blocks if so needed. I have used many of my favorite (favorite!!) 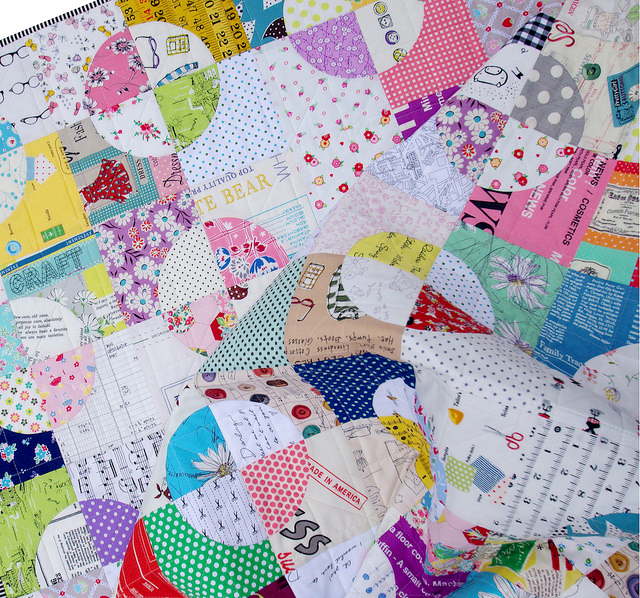 fabrics to make this quilt. 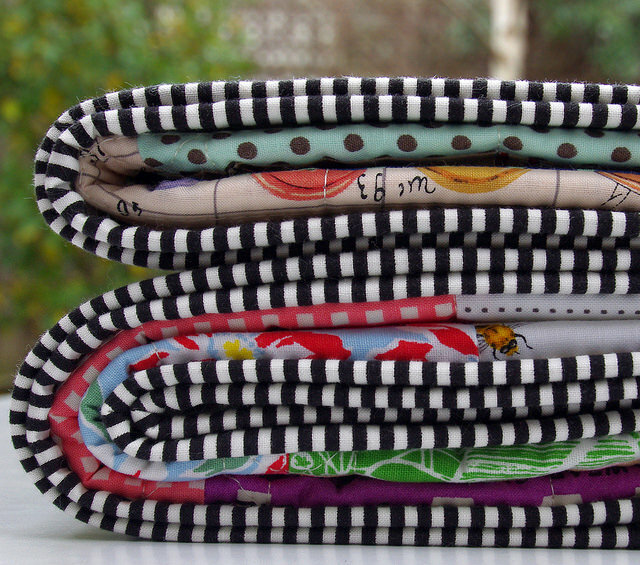 I have many fabrics in my stash that I love, most of which are only small pieces, a fat quarter or less, which I have collected over the last 8 years or so. 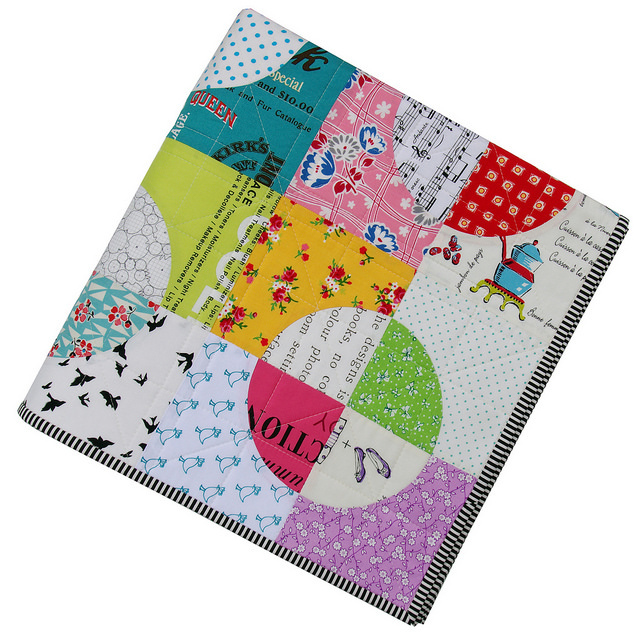 I don't have any hesitation in using these special fabric in my projects. It feels right that they're used in a handmade item that will be used and so loved. It also brings me great happiness to work with these fabrics. 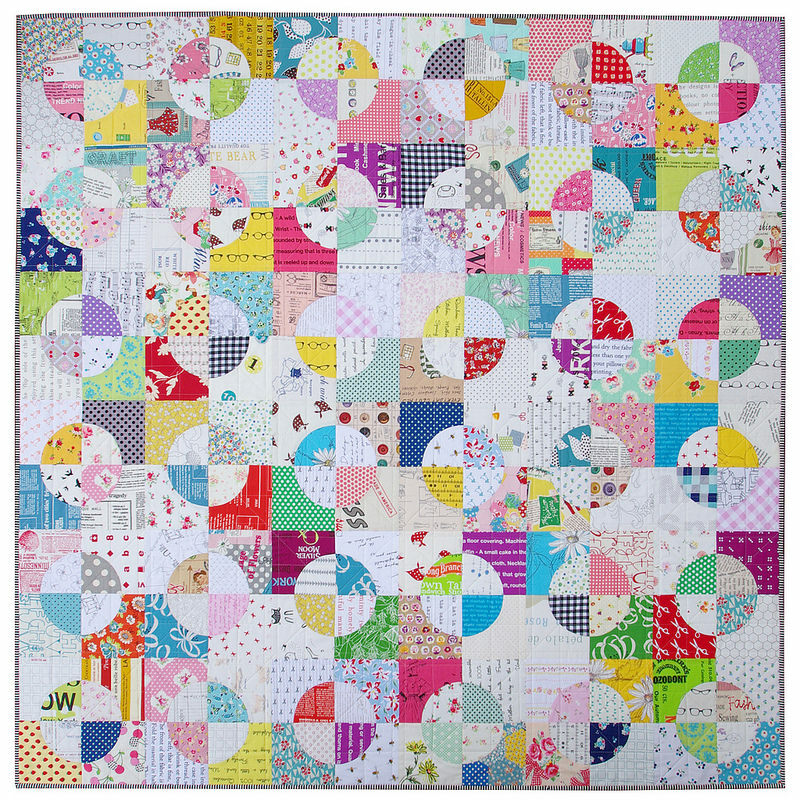 The quilt is quilted with simple straight lines running edges to edge horizontally and vertically as well as a set of diagonal lines that run through the center of the circles. 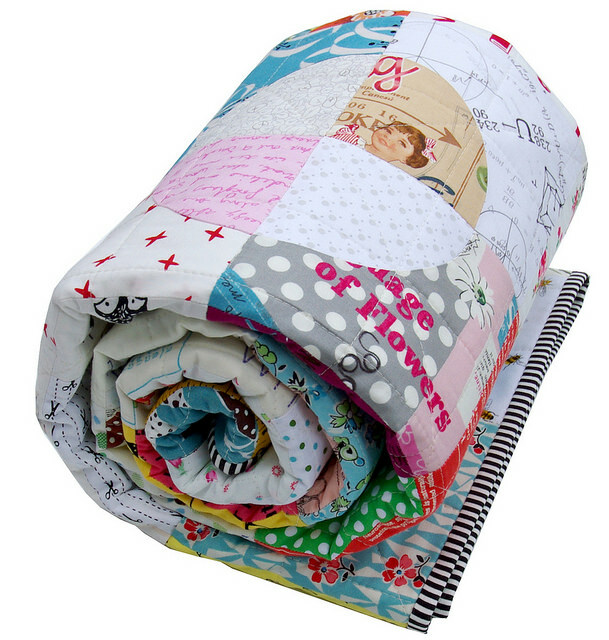 This quilt is all about the fabrics and the quilting is minimal and functional. That's not to say that it isn't quite heavily/densely quilted. 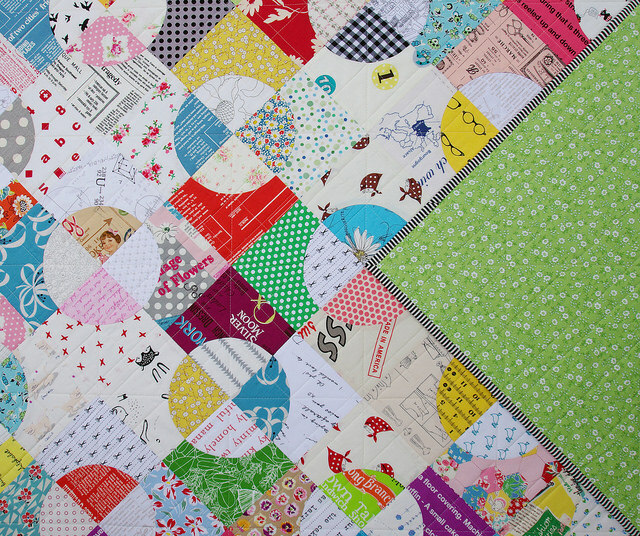 The Drunkard's Path block is such a versatile block, and the layout possibilities with different fabric combinations are endless. 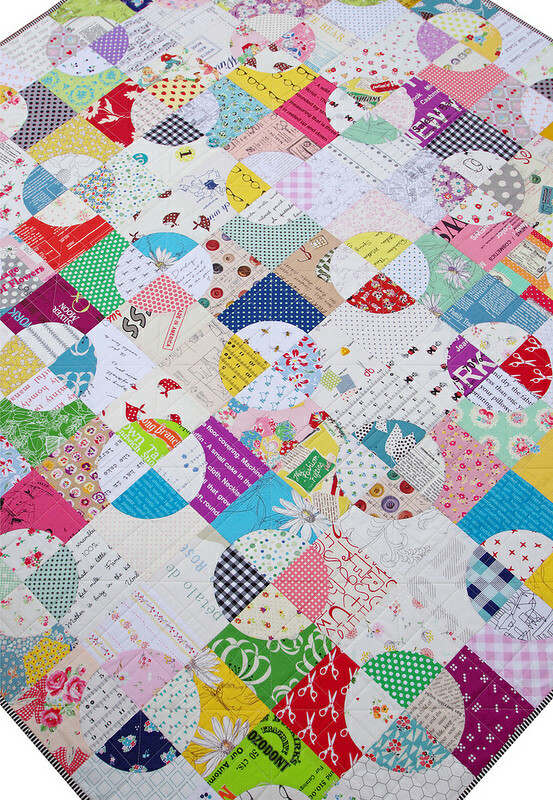 I see more of these quilts in my future and can't wait to play with design, patterns and different size blocks. 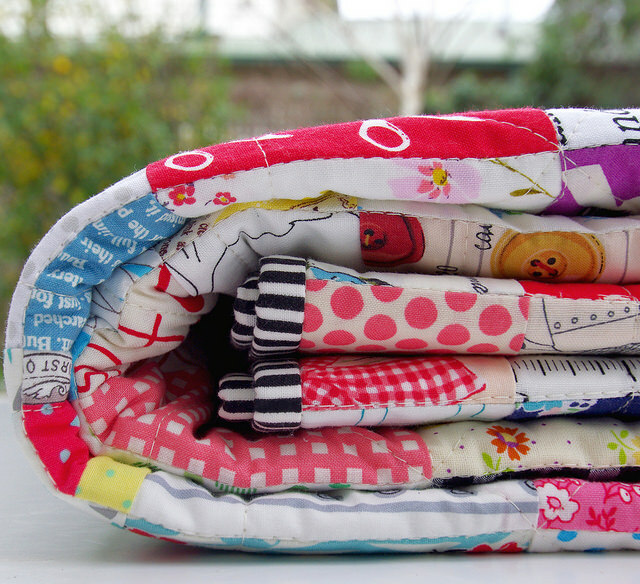 This quilt has already sold and is now on the way to a new owner. 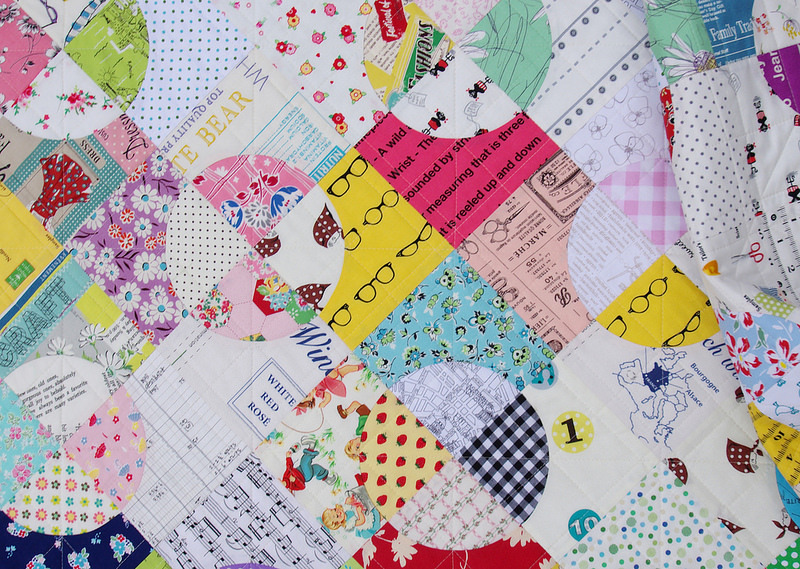 This quilt is beautiful, and quilted just the way I like it. With the emphasis on the fabric, not the quilting. I find recently that quilts are being so heavily quilted that the fabric seems to recede into the background. I don't know about anyone else, but I want to see the fabric. 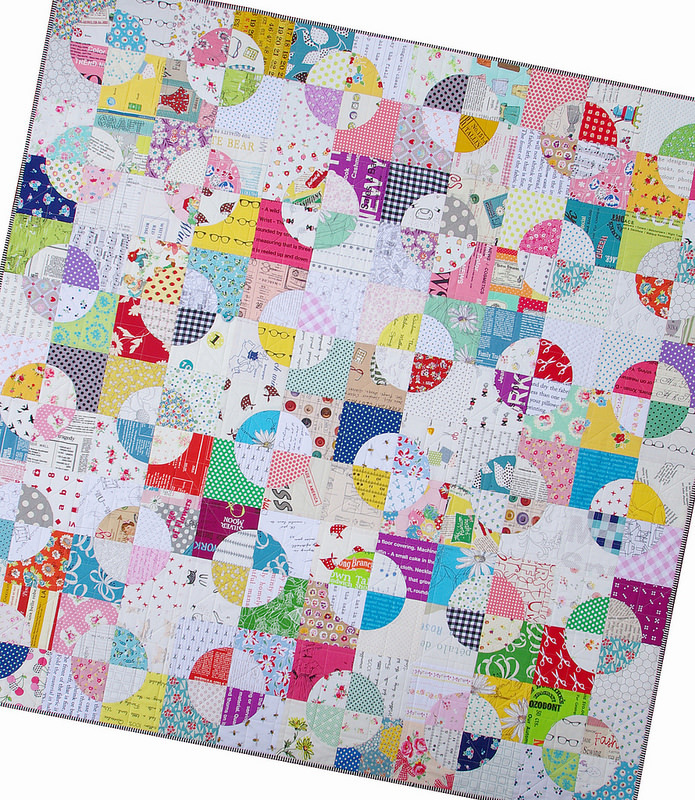 Love this quilt and I'm DYING over that Spotlight DSQ geofloral in light blue. So adorable. I just love to browse around and look at all of those different fabrics. Just a fabulous quilt! Love the look of all these fabrics hanging put together. Thanks for sharing the process and finished quilt with us all. Love love the yellow scraps in it! Really pretty--love the pattern and that scrappy look says so much !~! This one is a winner for sure! Question - did you use a template to cut the pieces? If so, which one? Cheers. Have a good day. I'm really loving this one Rita. Especially the smaller size of the circles within the blocks. This quilt is amazing. I just love the circles and all the prints. I am going to have to make something like this. It turned out so wonderful. This quilt is awesome! The fabrics are perfect! I really need to get some curve confidence too, maybe I should try this! Great quilt! I love drunkards path, but not a fan of sewing curves! Your quilt is awesome, maybe someday I'll give it another shot.